At pleasant pops we are chalk full of cuteness: hand-drawn signs, pop-themed wallpaper, snowman tip jars, not to mention our very stylish baristas. Yet, without a doubt, the cutest thing you'll spot in our shop (and arguably the cutest thing you'll spot in Adam's Morgan) is a miniature honey bear full of Banner Bee's wildflower honey. 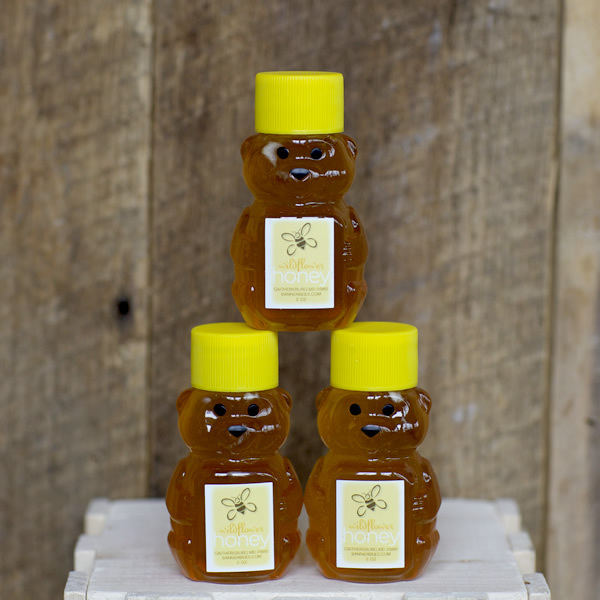 Standing tall at 3 inches, these honey bears are not only adorbale, but practical as well. Haven't you ever been stranded with a cup full of hot lemon tea and there's no honey in sight? Toss one of these adorable bears in your bag and you'll never be without again. Banner Bee's honey is produced in Gaithersburg, Maryland, a mere 20 miles from DC. 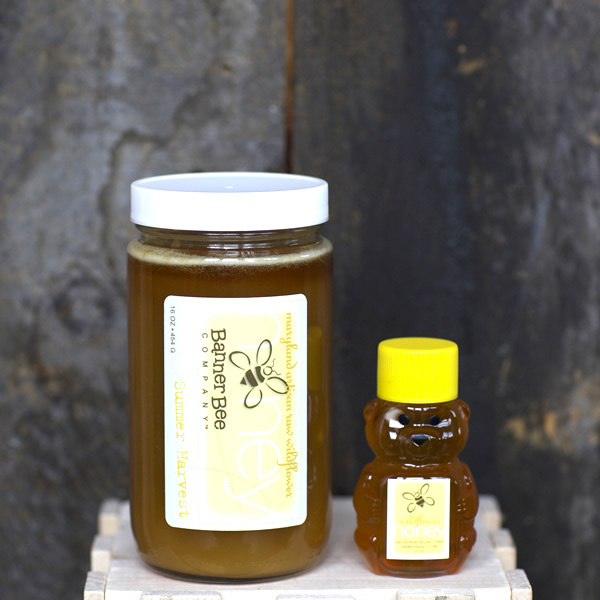 The family business began two generations ago as a beekeeping hobby and has grown into a successful company with apiaries located on several farms throughout Maryland (in Northern Montgomery, Frederick and Howard counties). Along with the aforementioned mini bears, Pleasant Pops is proud to carry their 16 ounce jars of raw wildflower honey, which (along with everything produced by Banner Bees) is 100% biodegradable, and totally free of all toxic chemicals. Raw honey, never having been pasteurized, heated or processed in any way, contains many benefits and acts as a magically natural sweetener. As February is coming to a swift end, and we're wishing these winter blues away, we know the best medicine to see us into spring is a spoonful of raw honey (seriously, maybe even two spoonfuls a day!) Banner Bees honey is produced nearby from the same, or very similar, strands of pollen which land on our flowers in DC; we like to call it "local". If we start introducing this pollen into our body before allergy season hits, we will have a stronger immunity to it which will help lessen the usual uproar of sneezes and watery eyes. The ultimate combination, both local AND raw is really the best anticipatory medicine to prescribe. So stop by, grab some yummy allergy remedy, and some cuteness while you're at it, and take this spring by storm!